Our Facilities – (5,266 sq. 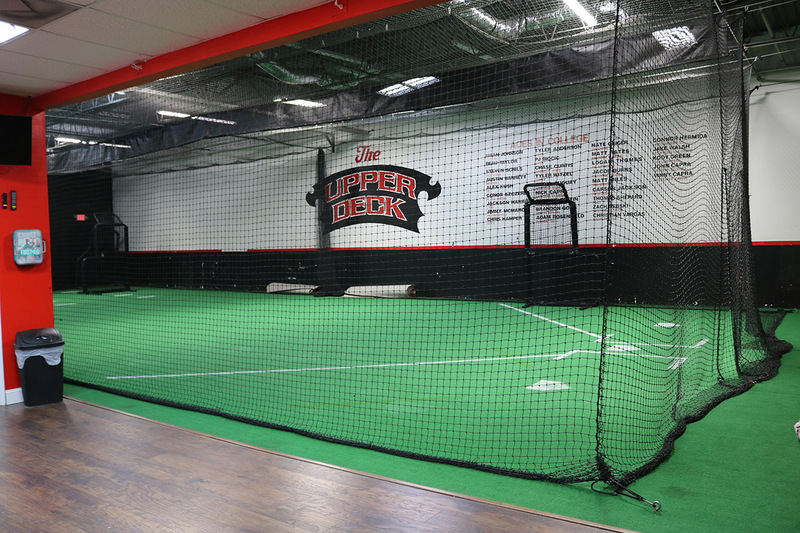 ft.) The Upper Deck is perfectly designed for any baseball & softball team or any individual looking to better their skills. 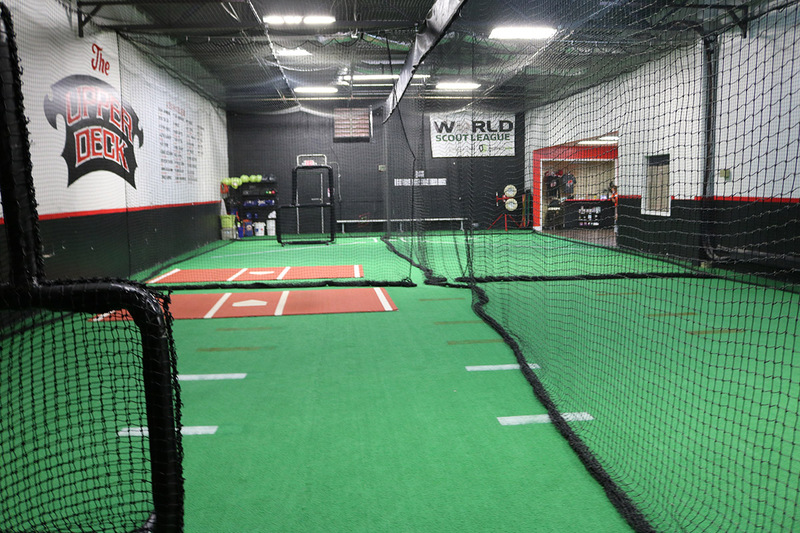 We have many resources that our clients can take advantage of including; pitching machines, curveball machine (baseball & softball), pitching mounds (all dimensions), performance gym (Speed & Strength), and professional/collegiate instruction. Practice Room #105 – (3,162 sq. ft.) This is our team training area. Perfectly designed for any baseball or softball team to run super-efficient practice. Our cages can be setup in multiple different ways. With all the nets pulled back it can become an open rectangle with the dimensions of 3o ft. wide by 70 ft. in length and 14 ft. high. The nets can also divide the cage into 4 separate cages with dimensions of 15 ft. wide by 35 ft. long. Lastly the cages can be divided into two long tunnels with dimensions of 15 ft. wide by 70 ft. in length. 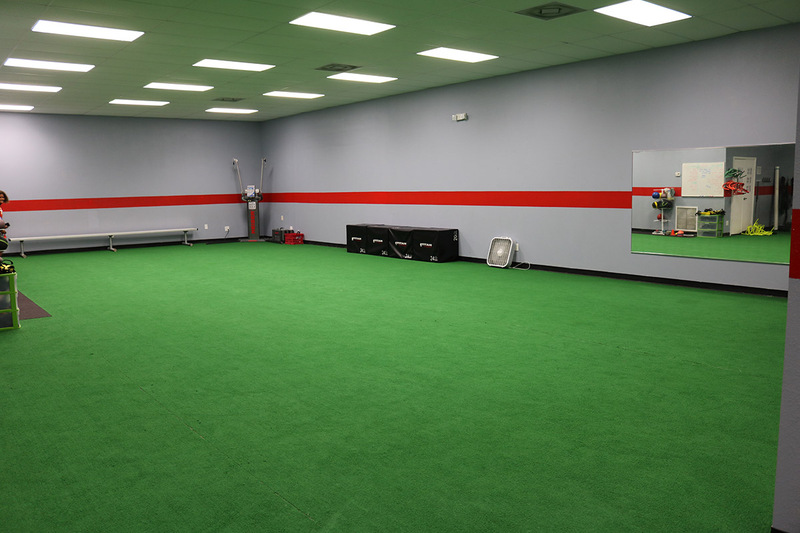 Speed & Agility Training Room #104 – (2,104 sq. 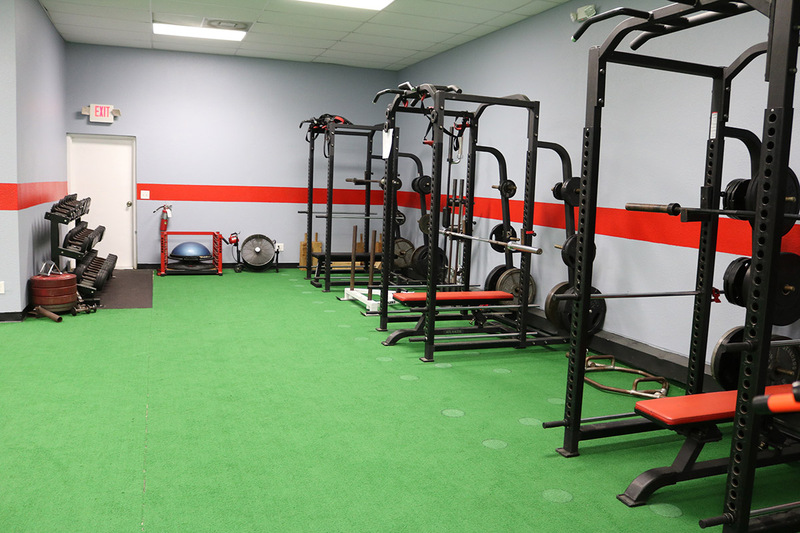 ft.) This is our athlete performance gym fully equipped with turf flooring. Athletes use this area to work on their speed & agility as well as body strength. Our athletes will be instructed by CSCS certified trainer Mike DeVinney.